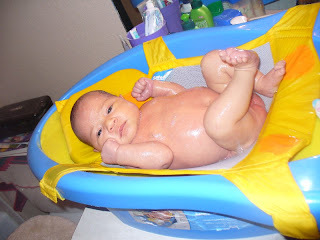 My Parenting Journey: Bath Time! Here is the latest picture of my little baby Dana. I am giving her a bath last night and she did really good, she likes the water and she even didn't cry!